Anyway, Sunday morning when I got up, needless to say, my feet were sore. I limped around and got dressed for our day ahead. Brit Boy and I were planning to meet up with a new acquaintance of mine that lives in London. Now, walking was something that sounded incredibly painful at the time, but I always love being in London, so I figured I would grin and bear the discomfort. I wrapped my toes in tissue and put on socks and then my shoes. I was ready. We met up with my new acquaintance at a place called Maggie Jones. I looked it up ahead of time and apparently it is named this after Princess Margaret. She used to frequent the place when she was being courted by Antony Armstrong-Jones, so this name is a nod to her according to what I read. It is a tiny little pub-like restaurant with traditional British food. It was quite intimate and lit mostly by candlelight. They have lots of traditional British paraphernalia hanging from the walls and overhead. It gives the place a very nice feel of stepping back in time. We had a nice lunch with my acquaintance and her guy friend. After Brit Boy and I had lunch, we decided to have a good walk around. My toes had hurt when we walked into the restaurant, but after our lunch, and a couple of glasses of wine, I was feeling less pain. 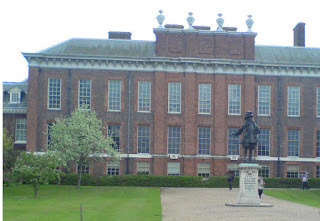 (laugh) We took a walk over to Kensington Palace and Kensington Gardens. It is lovely over there. It was quite moving to see the gates at Kensington Palace for the first time, as this was where all of the flowers were placed in honor of Princess Diana at the time of her death. It is a lovely area, very green and beautiful. Here is a photo of the palace. 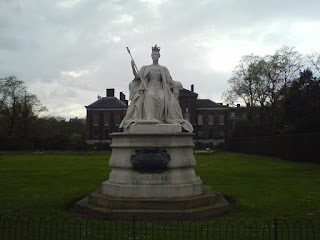 Then we walked along and saw the statue of Queen Victoria which also sits in Kensington Gardens. Here is a photo of that. 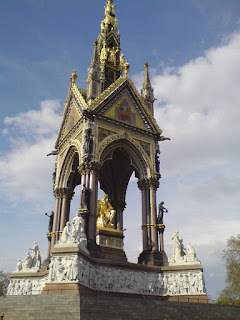 Next we walked along to the Albert Memorial which sits along the edge of Kensington Gardens. 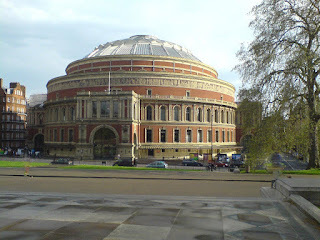 Across the street from the memorial is the Royal Albert Hall. Brit Boy and I will have to find a chance to attend something there some time. (smile) Here are photos of both. 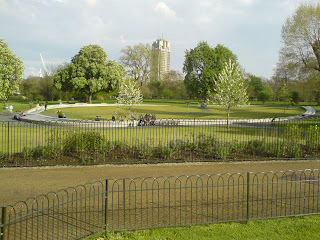 Then we walked along to Hyde Park which is right next to Kensington Gardens. 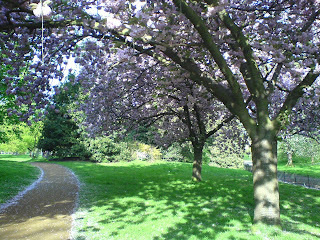 Here’s a lovely photo of the flowering trees in one corner of the park. Lastly, we walked over to see the Princess Diana memorial. I must say, I had heard before about all of the controversy in the past on how it should be done, and in my humble opinion, it isn’t nearly good enough for her. I guess that a worse thing would be having no memorial at all, but Brit Boy and I both thought that it looked like a half-hearted attempt. 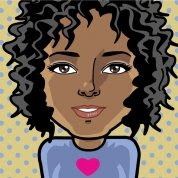 She seemed to be a good person and after all she is the future king’s mother, so it just seemed half done. However, as I said, it is better than no memorial at all. 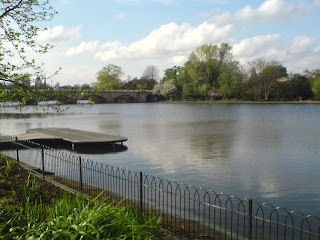 The lake across from her memorial is called the Serpentine. It is apparently a man-made lake, but it’s a beautiful place, just right for a princess. (smile) It was very peaceful there. Here are photos of the memorial and the lake. After all of this walking, we sat down and enjoyed the end of the day. By this time, my feet were a bit sore again, but I was happy. Brit Boy and I were spending time together, so all was right with the world. (smile) So we stopped by a store and got some proper bandages for my toes. I was ready for the next day. 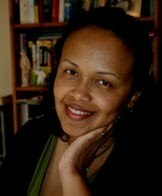 Tomorrow, I will tell about our next day at the immigration office and the cool guy that did my interview. He rocked! (smile) Also, I will tell about our hanging out in Piccadilly Circus. It was a fun day. London is exciting and is one of the great destinations in the world. There is so much to see and it's an amazing city! If you get the chance to visit, please do, because you never know what's on in London !